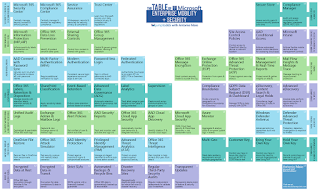 The Table of Microsoft Enterprise Mobility & Security! 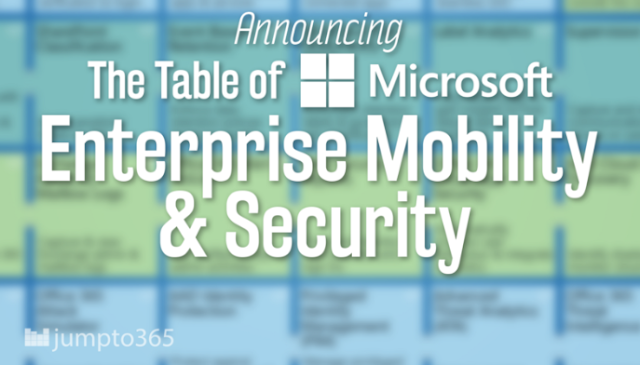 I'm very happy to announce that I’ve teamed up with jumpto365’s Matt Wade and Niels Gregers Johansen to publish The Table of Microsoft Enterprise Mobility & Security, which is a new addition to the Microsoft Periodic Table series! Niels, Matt, and I decided at Microsoft Ignite 2018 to work together on a tool that’s been one of the top requested additions to the Periodic Table of Office 365. That is overview for Microsoft’s Cloud capabilities related to security, compliance and information protection. Similar to the Office 365 periodic table, the Table of EM&S categorizes similar services together to make the overall offering easier to navigate, and easier to determine which tools are available to you. Considering the breadth of tools available with the EM&S offering, which is maintained by many teams across Microsoft, it can be hard to find central resources providing an overview of the entire suite, which group and describes the tools with respect to each other. This work aims to bring everything together in one spot and make jumpto365 your entry point to understanding the Microsoft Cloud tools that are available to you. 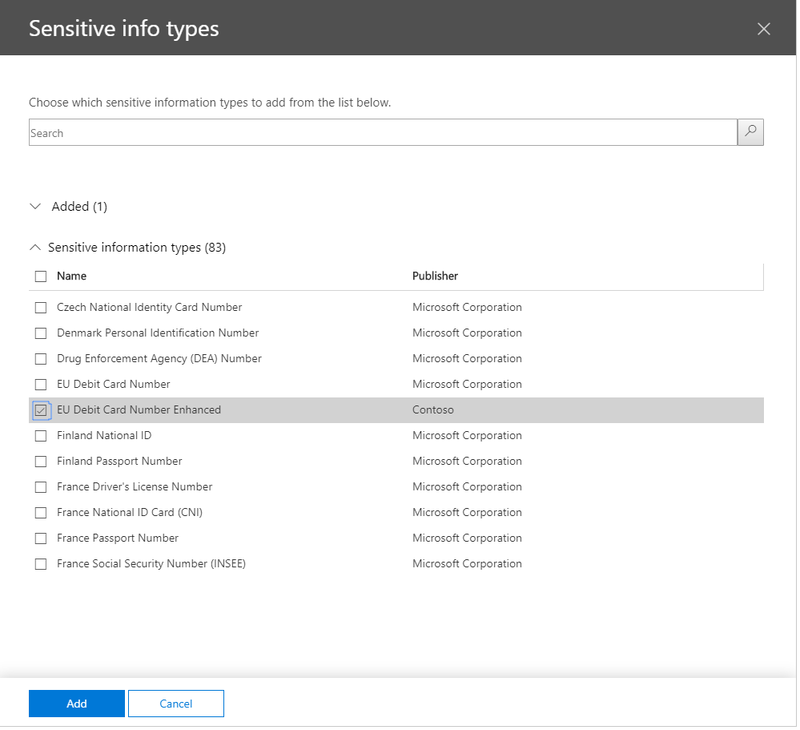 We're highlighting the features and capabilities that are important when considering the security of your Microsoft 365 environment and the tools available to you to help with regulatory compliance. I've worked in the security and compliance space for a very long time, and there are many great solutions built into the Microsoft Cloud which help customers protect their information, secure their tenant, and comply with the regulations that are important to them. I truly love working with these tools! In working with many customers though, I find that they often don't know that these tools exist, and learning which one is best for which task is one of the hardest tasks in moving to a more secure and compliant state in Microsoft 365. 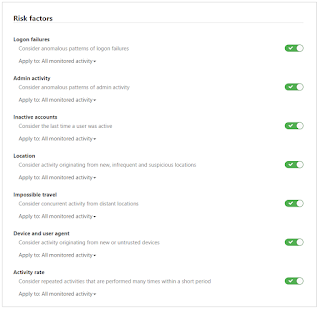 The security and compliance tool landscape is vast in Microsoft 365, with a lot of great services, features and tools! One thing that excites me most about this table is sharing that knowledge with people and giving them an easy way to explore the many security and compliance features available to them. You can jump to the product pages and documentation for each tile in the Table for the particular service or feature, giving you both an overview and access to the in-depth details about how to make use of the service or feature. All of those product pages offer links to the technical documentation, pricing, getting started guides, and live demos. This lets you check if the service offers what you are looking for before spending money and time on the idea. 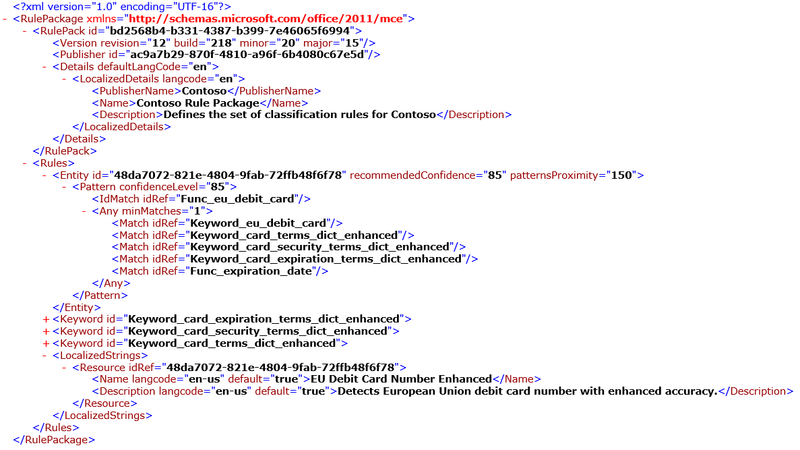 All information in the EM+S Table can be found across Microsoft’s Enterprise Mobility + Security service websites. If any changes are made by Microsoft to the EM+S services, we will update the Table as well, so that it stays up to date. This is the beginning of the Table of Microsoft EM&S. We will continuously update the Table with more features and functions to make it better over time. If you have anything you would want to see on the next version, please let me know in a comment below. To learn more about my work and what I do, please visit my other blog www.antonio365.com and follow me on Twitter. As an enterprise architect, working primarily in the Microsoft Cloud, I often get asked questions about which form solution a Client should move forward with in their enterprise. It usually starts with one form that a business stakeholder has requested or suggested, or with one team that wishes to publish a few forms. The request and the questions quick spread to multiple teams that want to do something similar in the spirit of "Going Digital"! Do we continue to use InfoPath like we used to? Do we use SharePoint Designer to create a list form? Are those things still supported, because we've heard they're not? Do we create a custom form on a SharePoint site page with a custom web part... maybe a full page web part? Do we use Microsoft PowerApps, Microsoft Forms, or a third party solution? So, I thought I'd share my practical thoughts here to hopefully benefit many people wondering about the same question. Microsoft has a long history of form solutions which have come and gone, especially in the case of SharePoint. The SharePoint and Microsoft technology stack for building and hosting online forms has gone through significant flux in recent years. It started with the announcement that Microsoft would discontinue InfoPath back in January 2014 (anyone remember the InfoPath funeral at the SharePoint conference). After several years of flux, we finally have a clear path forward for online forms in SharePoint and in the Microsoft Cloud. First of all, let's be clear on InfoPath and SharePoint Designer - Microsoft has clarified in recent years that InfoPath and SharePoint Designer will in fact be supported in their last versions, InfoPath 2013 (the client application, as a separate download, and not included with Office 2016 or later) and SharePoint Designer 2013, until July 2026. This means that current and recently released versions of SharePoint, so SharePoint 2016 and SharePoint 2019, will support artifacts created in InfoPath 2013 and SharePoint Designer 2013. As will SharePoint Online, until further notice. However, Microsoft has also been clear that no new work, not features, not updates, not patches, will be put into InfoPath 2013 or SharePoint Designer 2013. Those are the last versions of those applications. This effectively means that InfoPath and SharePoint Designer are on life support, and are still supported for those on premise and online solutions for Microsoft customers that have a large investment in using InfoPath and SharePoint Designer and cannot yet move to the new modern capabilities. This also means that new modern capabilities added to SharePoint Online and the Microsoft Cloud will likely not work or integrate with InfoPath or SharePoint Designer. Effectively, the real use cases in which InfoPath and SharePoint Designer may be used in conjunction with SharePoint Online sites to fulfill a business need will get more and more narrow, over a long period of time, until 2026 in fact. What you've built in the past is still supported, and you could still likely use the tools for something simple, but its highly recommend that you don't look to these technologies to try to build anything modern, or supported on mobile, or integrated across the Microsoft Cloud. You will have a long up hill battle! As many will tell you, Microsoft's go forward solutions for Online Forms in the Cloud include both Microsoft PowerApps and Microsoft Forms. Microsoft Forms was released to general availability on April 27, 2018, so its only a little over a year old in general availability (it had a long preview program before that which many of us participated in). The solution is still fairly young, but its intended use cases and purposes are fairly narrow and focused, so it does what it does very well. Microsoft PowerApps was released to general availability on October 31, 2016. It is only a little over 2 years old. Its important to keep that in mind, because it tells you the technology is young and still evolving. That said, the technology has come a long way in just 2 short years. One feature that Microsoft Forms has over PowerApps, is that Forms can be optionally be published so that they can be accessed anonymously. That's correct, if you need to publish a form to the internet that you want people on the internet to access and fill out and not require them to login (because maybe they don't have a user account in your Office 365 tenant) you cannot do that with Microsoft PowerApps, but you can do that with Microsoft Forms. This is not the default configuration, but when you publish a form in Microsoft Forms you can choose to publish it anonymously and not require users to login - when you do this, any person on the internet with a link to the form can respond to it. Access is controlled through your Office 365 license, and all Microsoft Office 365 enterprise licenses include one flavor or another of the Microsoft Forms SKU, including Office 365 Enterprise E1, Enterprise E3 and Enterprise E5. There are numerous flavors of the Microsoft Forms license itself, including those focused on the enterprise (Microsoft Forms plan E1, plan E3, plan E5), those focused on kiosks or unattended applications (plan K), and those focused on Education (Plan 2 and Plan 3). You can control if a user has access to Microsoft Forms for the purpose of creating a publishing a form by turning ON or OFF the Microsoft Forms SKU in their Office 365 license. You can learn more about which licenses include Microsoft Forms here. Microsoft Forms is also available for free to Hotmail and Outlook/Live Microsoft accounts, with some limitations. All data submitted through Microsoft Forms is stored on servers in the United States or Europe (only if your Office 365 tenant is hosted in Europe). So, if your Office 365 tenant was created and is hosted in a data center outside of the United States or Europe, your form, its configuration and any data submitted through your form is stored and hosted in servers within a US data center. This may or may not fit with your data residency requirements, so please consider the use of Microsoft Forms carefully with this in mind. If a user who creates and publishes a form using Microsoft Forms, leaves the organization and their account is disabled and/or their Microsoft Forms license is removed, then all Microsoft Forms configuration and data, including submitted form responses, will be deleted 30 days after their user account is deleted from your Azure AD instance. Conditional Access does integrate with Microsoft Forms. 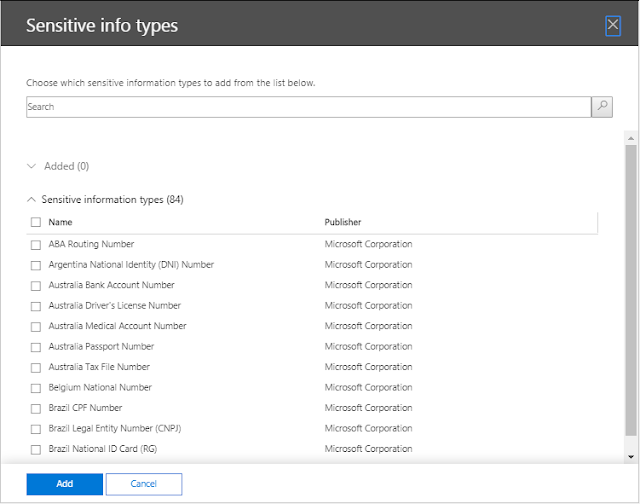 You can select Microsoft Forms as a Cloud App in the Cloud Apps assignment. Finally, surveys and quizzes allow you to collaborate with others during the creation process by creating and sharing a link to the form with other users. You can use this same method to save forms as templates and reuse them over and over again. Microsoft PowerApps is cloud based technology only available in the Microsoft Cloud, which allows business analysts as well as software developers to build custom business applications. It is Microsoft’s go-forward solution for online forms, and is the intended replacement technology for InfoPath forms, as well as all previous form technologies. The solution is not only targeted at software developers. The solution is targeted at business analysts or technical specialists within a business function (as opposed to business users) as some technical abilities are typically required to build simple PowerApps solutions. Often business users can easily start a PowerApps solution, but very quickly they find that some knowledge of JSON or expressions/formulas is required to achieve the business functionality they wish. A canvas app allows the app developer to layout supported controls wherever they wish on the page and construct multi-page applications. A model driven app is created and designed for the most part based on the data fields you select for the app. They are tightly integrated with the Common Data Service (CDS) which is the common data model used within Dynamics 365. As you develop a model driven app, you create entities and fields within the CDS, and the controls are automatically laid out on your form to support reading and writing of data from and to those data structures. All Office 365 enterprise licenses include a PowerApps for Office 365 license. This provides all Office 365 users with standard PowerApps designer capabilities, in effect enabling all users to create their own PowerApps. The PowerApps for Office 365 license provides access to Canvas Apps, and it provides access to the Common Data Service (CDS), however only in the default environment. Any user that will run a PowerApps, meaning if they will fill out an online form built on PowerApps, will run it under the context of their own user account and therefore requires a PowerApps license. PowerApps Plan 1 provides access to the Common Data Service for Apps to store and manage data in additional environments. Users can run canvas apps that are built on the Common Data Service for Apps, use premium connectors, access data in custom applications or on-premises data. PowerApps Plan 2 allows users to run model-driven apps with code plug-ins and real-time workflows. For more information on PowerApps license plans please refer to the Microsoft article here. With Office 365 PowerShell, you can manage Office 365 for your organization using commands and scripts that streamline your day to day work. 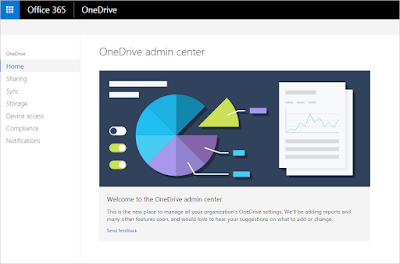 Microsoft provides several easy to use admin centers to help manage Office 365. However, whether you’re an Office 365 administrator yourself or a service owner for Office 365 in your organization (working with other administrators), you’ll quickly find that you need to go beyond the capabilities that these admin centers provide. PowerShell can help you automate tasks so that they are easily repeatable, it can help you script management tasks so that they are automatically performed on a schedule and it can help you quickly output large amounts of data about your Office 365 environment. 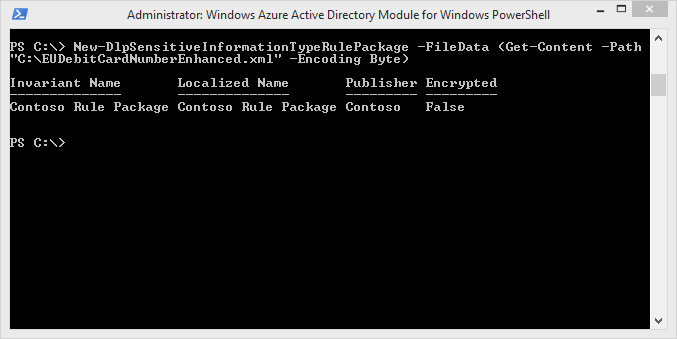 As well, some Office 365 settings are only manageable using PowerShell, with no UX provided. 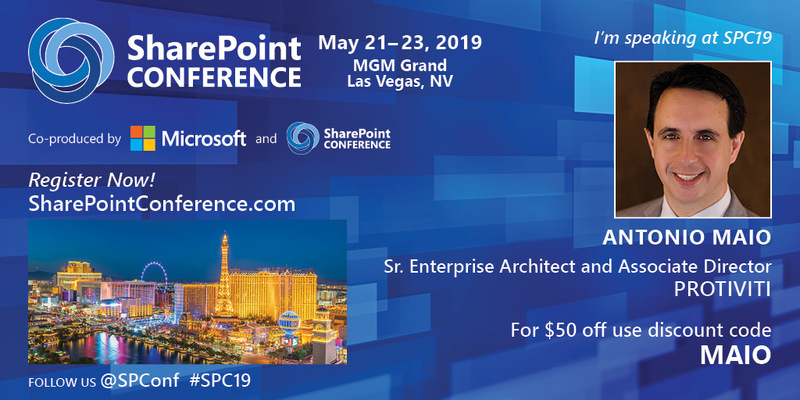 In this session, you’ll learn how to get started with Office 365 PowerShell and how to quickly become productive with it, making you more productive and empowered as you manage your Office 365 environment. Thank you to those that attended my session today on this topic at SPTechCon DC! You were a great crowd with lots of great questions. Thanks to everyone that attended our webinar last week on Office 365 Secure Score. For many organizations moving to Office 365 or other Cloud services, the concepts of security, compliance and risk are complex. They require learning about how these security concepts have changed and how they’re now implemented in a Cloud first, Mobile friendly world. They often require working with security experts to evaluate the current state of the security for the Cloud application that you’re concerned about… and determining which security capabilities and features you are and are not yet making use of. When we worked in on premise server environments, things seemed almost easier in some ways because our server farms which hosted Exchange, SharePoint, Skype for Business and so on were all within our corporate networks. They were more under our control, and we felt some level of comfort from being able to stop internet traffic at the network boundary, usually through our firewalls or gateways. Regardless of how truly secure our not our networks and applications in fact were, we often gained some comfort from this boundary. With the advent of Cloud computing, with the desire to do work on a whole range of Mobile devices, even our own personal devices, and with the desire to access our services for work from anywhere in the world, moving to services which are hosted on servers and in data centers that are not under our control often feels like we’ve lost that comfort… that assurance that we’re controlling the security of our critical IT services, or it feels that we’ve given the management of our security over to someone else (that we can’t see, that we can’t talk to and that we don’t know). When, in actuality, often services like Office 365 are more secure than we could have ever hoped to deploy in our own environments… often we have more control over how our services are secured than we’ve ever had. We often just aren’t aware yet of the security benefits that come out of box with Office 365, and we’re not aware of the security capabilities that are available for us to use. Office 365 Secure Score is a security analytics tool from Microsoft that comes with your Office 365 subscription. Its built to help us understand and navigate all of the security options that are available to us in Office 365. Please reach out and let me know if you have any questions. Many of us have been looking forward to this event for weeks and today's event did not disappoint. 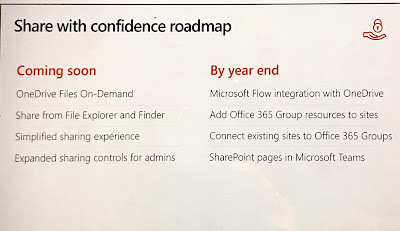 I tend to focus on the security and governance capabilities when it comes to SharePoint and Office 365, and one of the lines in today's #SPSummit that struck me most was the phrase 'Share with Confidence'! Those of us that work with information every day, even those whose job it is to secure information or oversee the security of information systems, we want to share information with others. Information sharing is a key principle of any collaboration solutions like SharePoint Online. However, we want to be confident that we're sharing with the right people, under the right conditions, and that the information we share is still being protected. 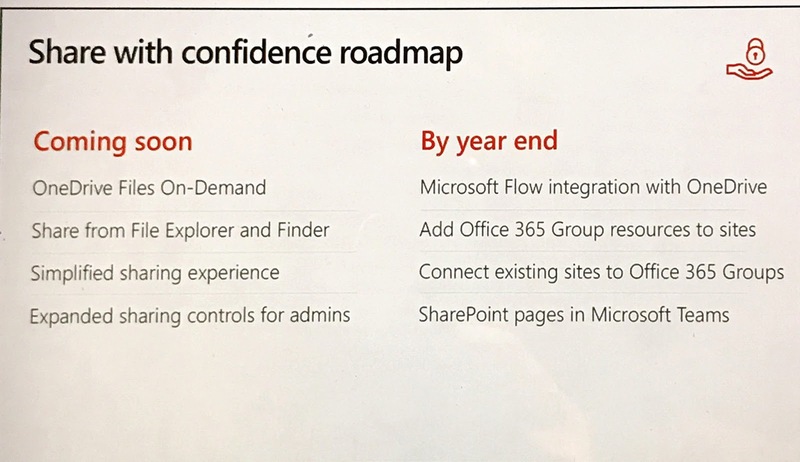 Some of today's SharePoint Online announcements really do help improve the Sharing experience in Office 365 so that we can Share with Confidence!